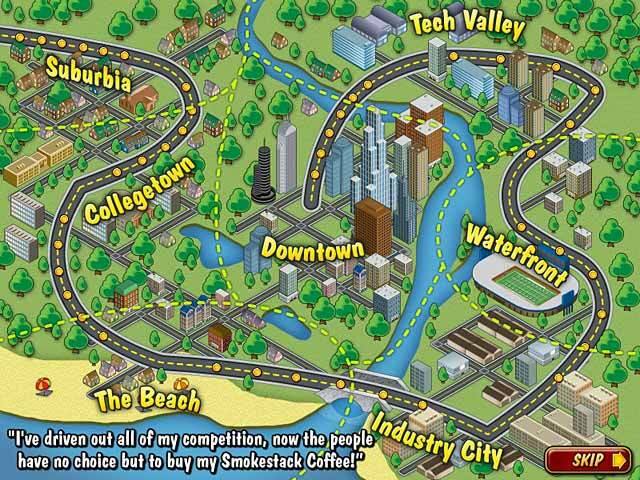 Open your own coffee shop and match your way to success in this great action game.Wake up and smell the coffee!In Coffee Rush, The Smokestack Coffee Company is polluting the town with bad coffee and it`s up to you to open up your own coffee shop and take back the town! 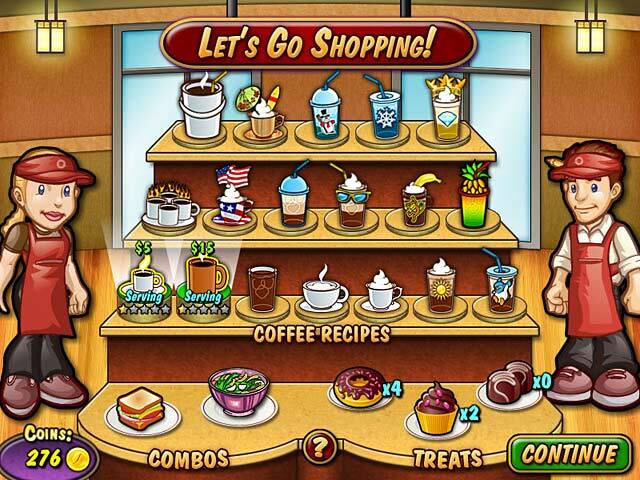 Swap coffee beans, milk, sugar and other tasty ingredients to prepare a menu full of tasty blends. 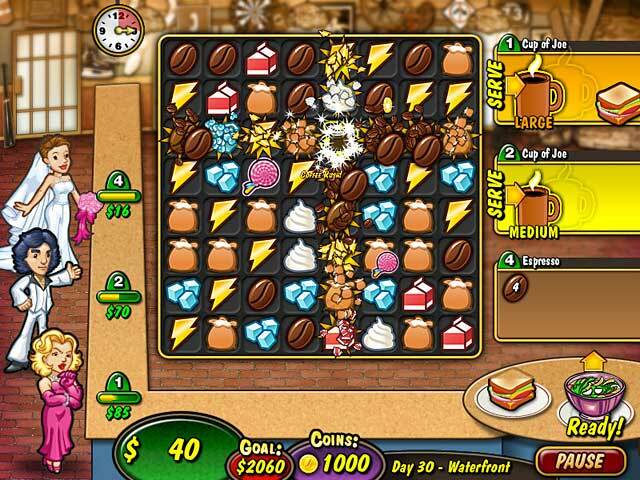 Upgrade your shop, recipes, treats and bonuses. Need a jolt? 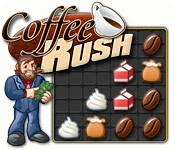 Blast-off with Coffee Rush!